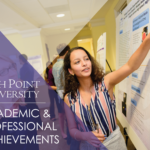 HIGH POINT, N.C., Jan. 31, 2019 – Members of the High Point University community frequently conduct, publish and share research and creative works in a variety of ways. Below is a recap of research initiatives from the past month. 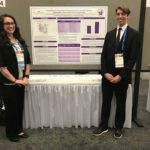 HPU pharmacy students presented research at the American Society of Health-System Pharmacists midyear meeting in Anaheim, California. The meeting is attended by more than 25,000 pharmacy professionals from around the world, and it provides opportunities for professional development, networking, enhancing practice skills and staying current with the latest products and innovations. 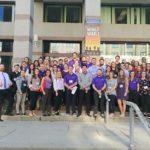 The students, CJ Puleo, Chris Houpt, Kelly Odegaard, Jessica Fernandez and Mimi Pham, attended and presented posters at the meeting, where they were able to share their research with professionals. 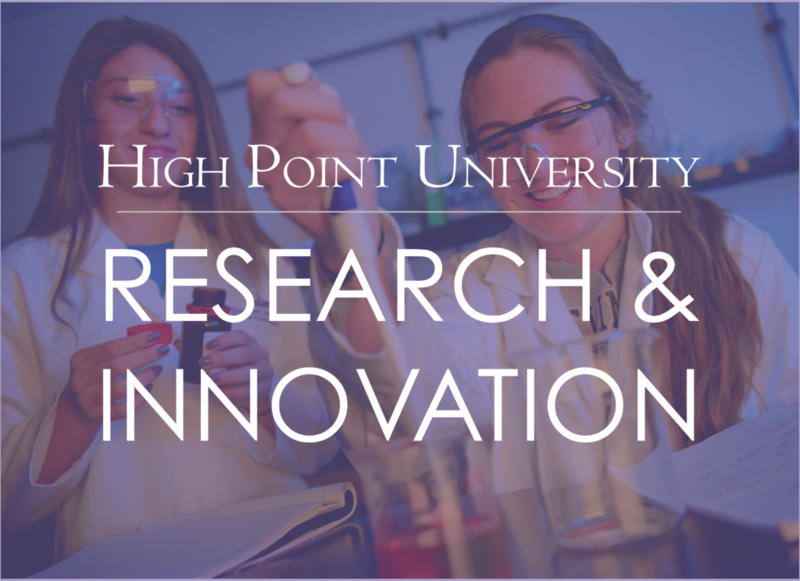 Their research mentors include HPU pharmacy faculty members Dr. Peter Gal, Dr. Comfort Boateng and Dr. Julie Cooper. 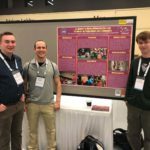 HPU physics majors Thomas Boudreaux, Kyle Corcoran and Stephen Walser shared research at the 233rd Meeting of the American Astronomical Society in Seattle. They each gave poster presentations. Boudreaux presented “Effects of the Primordial Binary Fraction on the Evolution of Globular Clusters,” research he conducted last summer at Harvard University as part of the Smithsonian Astrophysical Observatory REU Summer Research Program. 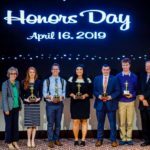 Corcoran presented “A Journey to Mars: HPUniverse Day and Its Impact on Young Minds and a Community” detailing the annual science outreach program at HPU. He also presented “Evryscope Observations of Post-Common-Envelope Hot Subdwarf Systems” on work done in collaboration with astronomers at UNC-Chapel Hill to characterize period changes in extreme binary systems, using data from the Evryscope array in Chile. Walser presented “Evryscope Photometry of the New Hot Subdwarf Reflection Effect Binary EC 01578-1743,” which focuses on a new reflection effect binary discovered by the Evryscope and attempts to characterize it. 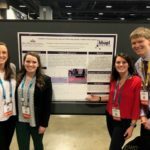 Fourteen students and faculty from HPU’s Department of Physical Therapy presented research at the American Physical Therapy Association’s Combined Sections Meeting on Jan. 23-26 in Washington, D.C. The event was attended by more than 16,000 professionals. 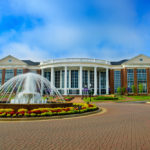 HPU students and faculty were a notable presence throughout presenting posters, platform presentations and educational sessions on topics ranging from hip strength, bone mineral density, injury risk and workload in athletes to physical therapy practice. 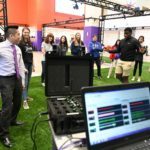 Posters were presented by physical therapy students Coty Rajek, Monifa Williams, Natalie Devine and Layla Moran, Meghan Patton, Emily Tower, Erika Klein and Michael Nielsen, as well as faculty Dr. Dora Gosselin and Dr. Lance Mabry. Dr. David Sinacore and Dr. Jeffrey Taylor gave platform presentations, and Dr. Kevin Ford and Dr. Eric Hegedus gave educational sessions. 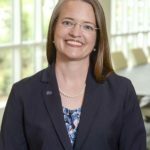 A manuscript co-authored by Dr. Julie Cooper, associate professor of clinical sciences at HPU, will appear in the American Journal of Health-System Pharmacy. 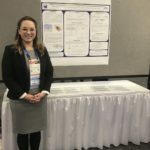 Titled “Cost Related Medication Underuse: Strategies to Improve Medication Adherence at Care Transitions,” her research focuses on how patients use medication when they are discharged from the hospital. Dr. Melissa Srougi, assistant professor of biochemistry at HPU, and Matt Beck, a 2016 graduate of HPU who is now a first-year medical student, co-authored an article which will appear in the Biochemical and Biophysical Research Communications journal. 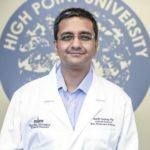 Titled “Loss of ATM Positively Regulates Rac1 Activity and Cellular Migration Through Oxidative Stress,” the peer-reviewed article details research they performed through HPU’s Summer Undergraduate Research Program in the Sciences and Undergraduate Research and Creative Works programs. Among the findings included in the article, their research delineates a novel mechanism whereby patients with the neurological disorder Ataxia-telangiectasia (A-T) have a predisposition to cancer. 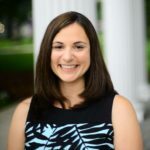 Dr. Heather Miller, assistant professor of biochemistry at HPU, received a Faculty Travel Award to attend the annual meeting of the American Society for Biochemistry and Molecular Biology in April. The competitive award is for professors who have conducted their research at primarily undergraduate institutions. She was also selected as a Spotlight Speaker during the conference for submitting one of the most compelling research abstracts. 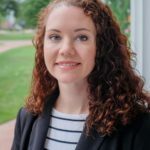 She will give an oral presentation titled “Human Tat-Specific Factor 1 Binds and Exports HIV-1 RNA to the Cytoplasm.” It is the collective work of her lab, which includes undergraduate HPU students Molly Hulver, Julia Trautman and Sebastian Roszczenko, and HPU graduate Amanda Goodwin, currently in medical school.